Perhaps the most beautiful form of dance, ballet is known for being difficult and taking years to master. Yet anyone who has seen “The Nutcracker” can attest to the beauty ballet affords. Ballet words are French since they were the first to codify the dance movements centuries ago. There are seven fundamental movements beginning ballet students are taught. Miss Colleen’s Elite Dancentre in Rockville Center, NY, offers ballet classes for all levels, including competition ballet. Contact us today for more information. Plie. Meaning “to bend,” plie is the most important move to master in ballet. It has different positions and describes how the knees bend to absorb the impact of movements that result in the effortless fluidity ballet is known for. The two types of plie are grand plie and regular plie. Etendre. Meaning “to stretch,” this movement involves the pointing of the toe that ballet is known for. Along with plie, etendre is critical to master as a beginning ballet student for foot and leg strength. Glisser. Meaning “to glide,” most of us have seen how ballet dancers glide along the floor like ice skaters. Relever. Meaning “to rise,” this describes how ballet dancers balance on the balls of their feet (or their toes for advanced ballet dancers), resulting in the dancer floating off the floor. Sauter. Meaning “to jump,” this describes when the ballet dancer leaves the floor, pushing off with force, but landing with control and strength, resulting in no sound. This is one of the most difficult moves to master and takes years of ballet training and practice. Tourner. Meaning “to turn around,” this is perhaps the favorite of young ballet students everywhere. This describes any turning of the body, either in place or in motion. A pirouette is a turn on one leg. Elancer. Meaning “to dart,” this describes several possible movements of the ballet dancer, such as jumping across the floor with pointed toes. These are merely seven of the hundreds of ballet moves you will see on stage. 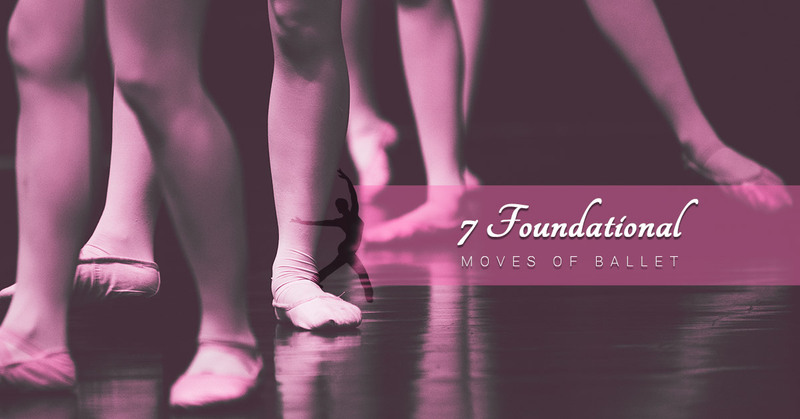 These seven foundational moves will yield the necessary strength, control, coordination, and agility needed in ballet. In Classical Ballet, positioning is everything. Standing correctly, moving correctly, turning out, and transferring weight all must be mastered to master ballet. Ballet is challenging but incredibly rewarding. Miss Colleen’s Elite Dancentre prides itself on offering the best ballet classes for all ages. We offer ballet classes for two-year-olds as well because we believe the younger a student begins formal ballet lessons, the easier it will be to master these steps. We offer recreational ballet classes as well as an opportunity for advanced ballet students to compete. The Elite Competition level offers our students a chance to perform in front of audiences, learn sportsmanship, and gain self-confidence. Being comfortable in front of a crowd is critical for competition success, and the younger our students gain this experience and the more opportunity they have to perform, the better ballet dancers they will become. Contact Miss Colleen’s Elite Dancentre in Rockville Centre today for our ballet class schedule!